A new international trailer surfaced online for Marvel’s “Doctor Strange” featuring the first look at Wong, Doctor Strange’s manservant, who will be played by Benedict Wong. The character is the latest in a family line devoted to serving morally good mystics. The release of “Doctor Strange” marks the first foray into the mystical realm of the Marvel Cinematic Universe. With each theatrical release, the studio has made a point of exploring less mainstream hero characters. Having established itself as a first-rate movie franchise, the MCU can increasingly get away with films focused on folks like Ant-Man, Doctor Strange and the Guardians of the Galaxy, as being a part of the brand inherently gives them an appeal they wouldn’t have otherwise. “Doctor Strange” follows the story of talented neurosurgeon Dr. Stephen Strange who, after a tragic car accident, must put ego aside and learn the secrets of a hidden world of mysticism and alternate dimensions. 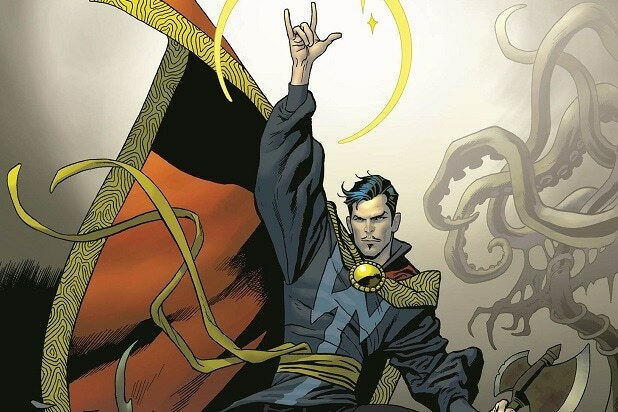 Based in New York City’s Greenwich Village, Strange must act as an intermediary between the real world and what lies beyond, utilizing a vast array of metaphysical abilities and artifacts to protect the Marvel cinematic universe.